We invite You to Reconnect! Please read carefully as you will be asked to acknowledge you have read these terms and conditions when you register. Tuition must be paid in full before your child is guaranteed a spot in a session. Our new registration program makes it easy to set up a payment plan if needed. Registration information and all medical information also must be filled out before your child is guaranteed a spot in a session. All deposits are non-refundable and non-transferable. Cancellations before May 15 will receive a refund of the balance minus the deposit. Except for reasons of serious illness, no refunds will be made after May 15. No refunds or transfer of funds will be given for withdrawal, dismissal, absence or sick days. The CIT program is for boys and girls who are 14 years or older. It is a four week training program held twice each summer. Applicants apply and submit references. Sup to six CITs are selected from the applicant pool each session and spend their session moving from a camper toward a Junior Counselor and then Counselor in future years. CITs may attend both sessions if they choose. Applicants who wish to be considered for the CIT program are expected to make a firm four-week commitment. Those who are selected are eligible to travel to and from NDC on the camp buses for a reduced fee. Application and reference forms are available on our website or you may request them from our office. Bus transportation is available for campers within the Blue Hill peninsula for $30.00 per week. 2 week sessions equals 2 weeks of bus transportation. CIT’s get a discount on bus transportation as part of their tuition. Camperships are based on financial and hardship needs. They are available to help offset the cost of campers who are year round residents of Hancock County. Camperships are limited to two weeks per child. If you would like to be considered for a Campership, please complete both the registration and campership application as soon as possible. Please include a deposit of $50.00 with your application. If you do not receive a Campership and choose not to attend camp, your deposit will be returned. A $35 fee will be charged for any checks that are returned to Nichols Day Camp due to insufficient funds. *All Campers listen and follow the directions given by the Directors/Counselors. *Campers are allowed on the Waterfront with Director/Counselor supervision only. 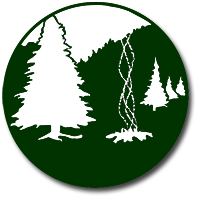 *Camp buildings, furniture and equipment are treated gently. *Campers help Directors/Counselors clean and put things away daily. *Campers/Counselors/Directors think “Green” and separate recyclables & returnables from garbage. *When in changing rooms & bathrooms, Campers/Counselors/Directors respect the privacy of themselves and others. *Appropriate language is used at camp at all times. If you can’t say it at school, then you can’t say it at camp. *All Campers/Counselors/Directors will treat each other with kindness. *Name calling, teasing, bullying & other forms of harassment will not be tolerated. *Knives, guns, weapons, matches, lighters, explosives, cigarettes, illegal drugs & drug paraphernalia, alcohol and any harmful substances are not to be brought to Nichols Day Camp. I agree to follow Nichols Day Camp’s Code of Conduct. If I don’t follow the Camp Code of Conduct (rules), I know that I may be asked to leave camp for the day, week or the summer. I hereby grant permission for my child listed on this registration form to participate in all camp activities with the understanding that good safety practices and adequate supervision are provided by Nichols Day Camp. I understand that my child’s participation in these activities can expose him or her to danger both from known and unanticipated risks. Acknowledging that such risks exist, I hereby waive, release, absolve, indemnify and agree to hold harmless Nichols Day Camp, their respective Directors, Officers, Agents, Volunteers, and Employees from any and all claims for liability for personal injury or property damage my child may suffer while participating in camp activities. I agree that the substantive laws of Maine govern this document and other aspects of my relationship with Nichols Day Camp and that any mediation, suit, or other proceeding must be filed or entered into only in Maine. If there are any restrictions or limitations to your child participating in the above-mentioned activities, please notify us. This is a wonderful camp with very committed and enthusiastic counselors, in a wonderful location on Walker Pond. Unlike snooty and expensive camps that provide too much to children, this is an unpretentious environment that teaches respect for self, others and nature. Through camp I gained life skills, wonderful friends, and most importantly, I gained a better understanding of who I am and who I am meant to be. I feel that I have vastly grown as an individual in the past two years. I have more confidence, I am more outgoing, and I am many more things. I don’t think anyone could ever understand what Nichols Day Camps means to me. I have had the privilege of being a part of the Nichols staff for two summers of my life and I wouldn’t trade it for the world. I have fond memories of all participants in the Adventure program that shared in the many camp fire cooking experiences and exploring the local environs and soaking up the stunning beauty of Walker Pond and its unique experiences and natural attractions. There is no better testimonial than a child’s beaming face and that’s what my grandson, 8 years old, had every day he came home from his first summer at Nicols Day Camps. He loved his counselors, made friends, and generally had a blast swimming and playing sports, the things he most enjoys doing. The camp is run efficiently and safely, in a beautiful setting on Walker Pond, with lots of choices in activities rain or shine, and is a real bargain for the happy summers it provides. Sincere thanks to all involved for making my grandson’s summer so wonderful – he wants to come back every year now. We are located at the Water Street/Main Street intersection, next to the municipal parking lot, upstairs, over looking the Blue Hill harbor.